Graphic Art, Fashion, Decor, Accessories. Custom made only for your order. New listing - Raymond Sabota writing desk by John Stuart Inc. This rare 1960’s desk and chair, designed by Raymond Sabota for John Stuart Inc., is perfect condition for staining. The walnut chair and three drawer writing desk are part of the midcentury modern Ray Sabota Portfolio collection for John Stuart produced by Mt. Airy Furniture Co. They feature gorgeous construction detailing around entire piece with subtle curved and sculpted detailing. 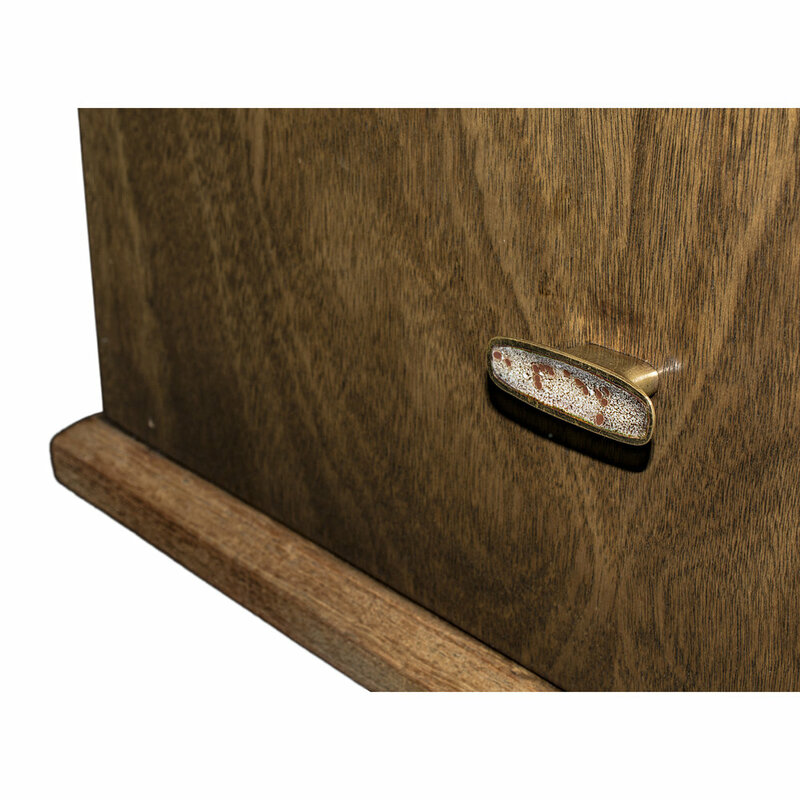 Both drawers feature original vitreous enamel over bronze hardware. The cosmetic wear to the finish will easily be corrected. One ½” flaw in side of the desk, see photos. Original caning on the chair is flawless, the chair vinyl needs replacement. *Please See the Shipping for Details Before Making Your Purchase. For Questions about this product or to send your Zip Code to Janene for a Custom Shipping Quote Prior to Purchase, please message Janene on Etsy, contact Janene via Facebook at www.facebook.com/SilentJaneSalvage or email her directly at janene@silentjanesalvage. Raymond Sabota writing desk by John Stuart Inc. 1960, produced by Mt. Airy Furniture Co.
Silent Jane Fashion, Collectables, & Decor. 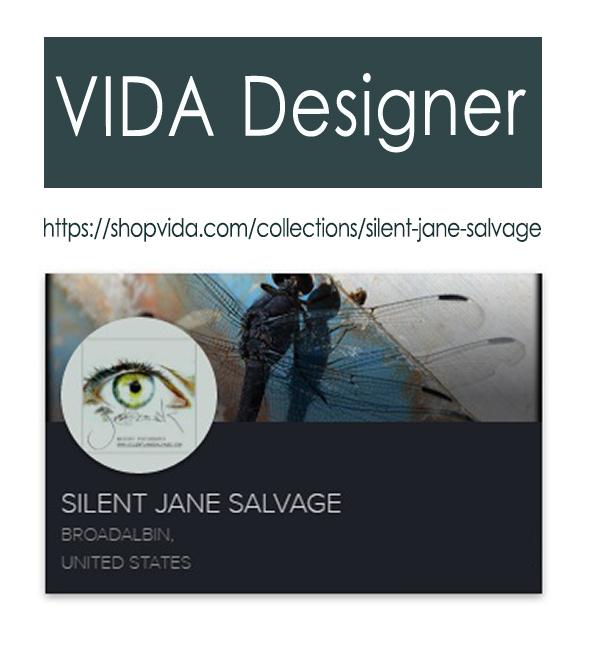 Janene uses VIDA to create her custom fashion and decor. View the collection or commision a one-of-a-kind item. To commision custom fashion or decor, contact Janene here. Complete this if you prefer to be contacted by phone. Describe the fashion or decor you want to commision. Thank you, Janene will be in touch soon! VIDA's story is that of the rich, interconnected world we live in - the story of contemporary life and a mindful, global citizenship. VIDA is a global partnership of co-creators. Learn how you can become a contributor here.